One summer when I was a small boy, my father told me the names of the brightest stars and pointed out the patterns of the major constellations. His knowledge of the night sky came from navigation experience as a sailing master on large cargo ships. I was fascinated, and wanted to go out every night to observe the stars. All astronomers talk about "going observing'', but what does this mean? 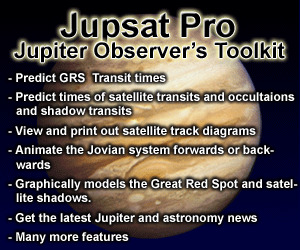 If you are an amateur enthusiast then it may mean going no farther than your backyard or your local astronomy club. For professional astronomers, however, the phrase means much more. Implicit is the fact that to understand the Universe we must observe it, and to do so we will need more than our human eyes. We will need all that modern electronic technology can offer. Today, the largest ground-based telescopes are located at relatively remote, pristine sites, high above sea level where the air is thin and the skies are astonishingly clear. So "going observing'' can also mean going far away from home. Access by professional astronomers to national ground-based observatories, as well as most university or privately owned facilities, is on a highly competitive basis. To obtain an allocation of "observing time'' an astronomer must submit in writing a well-argued scientific case for his or her observational experiment. Deadlines are set typically twice or three times per year. Selection is done by peer review (i.e., by a committee formed from the body of scientists who actually use the facility). Unfortunately, all of the major telescopes are heavily oversubscribed, so disappointment is a fact of life. To maximize the progress of scientific experiments at each facility, and to make the optimum use of weather conditions, the astronomical community world-wide has expended considerable effort on technology. This means highly automated observatories with much reliance on well-engineered instrumentation and computers, and it also implies new cost-effective solutions for the design and management of telescopes and equipment. Observing time on large telescopes is therefore difficult to obtain and is very valuable; it is important that no time be wasted. Also, modern observatories are quite complex, and so guest astronomers who may visit only twice per year cannot be expected to learn the myriad of operational details. To solve this problem, all large observatories provide one or more highly trained personnel to support the visitor. Usually a night assistant/ telescope operator will be provided; he or she will be responsible for control of the telescope and dome, ensuring efficient operation and keeping an observatory logbook. Other staff will be responsible for the preparation of observing equipment. The night assistant has the final word regarding safety matters, such as closing the telescope dome if the wind speed becomes too high. Sometimes a support scientist, who is a professional research astronomer on the observatory staff familiar with the instrumentation, will be available to assist first-time or irregular users of the telescope. A guest observer (or GO) planning to use a modern, computer-controlled electronic imaging camera or spectrograph at one of these major facilities might encounter the following pattern of work. Visiting astronomers will probably arrive by air a few days before their allocated time to ensure that they are not travel-weary and to discuss their plans with observatory staff. They may have traveled from North America or Europe to Hawaii, or to Chile or Australia, or any of several other destinations. By mid-afternoon before the first night on the telescope, the observatory staff will be in the telescope dome making sure that the telescope and the instrument are functioning correctly. The visiting astronomer(s), often including graduate students receiving training in observational methods or seeking data for a thesis topic, may well elect to be present for these checks, and may wish to practice using the instrument. This may mean becoming familiar with a control panel, or with the operation of a computer console on which the observational modes can be displayed and changed by typing at a keyboard. To feel confident that they understand the operation of the instrument, the visiting astronomers will carry out some tests of their own such as a "noise check" on the detector, or a calibration image or spectrum. With everything ready for the evening, they return to the observatory residential lodge where a meal might be prepared for them or to make their own. This is usually a great chance to meet people from all over the world, and the dinner conversation is often buzzing with astronomical jargon! Just prior to sunset the "observers" go back to the telescope dome, usually in the company of the night assistant, to complete their preparations. A final list of objects and "coordinates" is supplied to the telescope control computer. As the twilight fades and the sky becomes dark enough to work, the night assistant will "call up" the first object on the target list and a computer will instruct electrically driven motors on the telescope's rotation axes to slew to that position. Using a special video camera at the focus of the telescope, the guest astronomer examines the field of view to confirm that the telescope is pointing at the object of interest by reference to an existing star chart. Sometimes nothing can be seen because the object(s) are too faint and require a long exposure. In that case, the field must be confirmed by checking the pattern of brighter non-target objects in the vicinity. When the object is correctly centered, the observation begins. Having configured the camera or spectrograph to the required settings by using the instrument's control computer, all that is required next is to issue a "start" command. The total time for which the measurement lasts is called the "integration time'' and this may be anything from a fraction of a second to hours depending on the brightness of the object, the efficiency of the instrument, the wavelength, and the nature of the experiment. If the integration time is long, then it is essential to ensure that the telescope continues to track the object very accurately. In principle, this can be done manually by viewing the object or a nearby star with the video camera, and pushing buttons on a "hand-set" connected to the telescope in such a way as to counteract any drift of the image. More likely, guiding will be performed automatically by the telescope control computer which will analyze the image of the guide star on the TV screen, compute any motion, and issue a correction to the drive motors of the telescope. When the exposure is complete, the image or spectrum will be displayed on a computer screen, an adjustment to the setting of the instrument might be made, and another exposure started. Meanwhile, some rapid analysis of the first result is carried out. 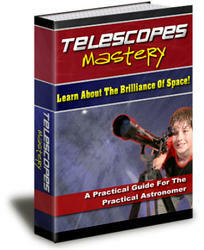 This is crucial to the optimum use of telescope time. The same pattern of work is repeated throughout the night. Nights can be long, from before dusk until well after dawn, typically 12 hours non-stop. Considerable concentration and often a degree of patience are required. Sometimes the latter is in relation to the other observers rather than with the experiment, and so some sustenance or "night lunch'' might be taken on the job. Some look forward to opening up the little brown bag collected at dinner, others would just as soon not watch! Depending on how smoothly the experiment has progressed or on what has been found, tactical decisions may be required to optimize the use of the night. Certainly, as dawn approaches, an extra effort is made to get the most out of the remaining time. A golden rule of observing which many newcomers forget to follow is to assume that "every night is your last'' and never leave a crucial measurement or calibration until tomorrow. Finally, with the last on-sky exposure complete, the night assistant will close the dome. A few more calibration frames are made and then the mirror covers are also closed and the telescope is returned to its parked position. At last the equipment is shut down or placed in standby mode, logbooks or fault reports are filled out, and the weary group rally round for the walk or drive back to the lodge. The observers sleep until early afternoon and then rise to prepare and review for the next night. Several days of this activity constitutes the "observing run''. The visitors will then spend a few days at the offices of the observatory, perhaps to obtain electronic copies of their data and discuss their observations with local staff. Finally, they fly back to their home institute to analyze the astrophysical content of the data in detail and write a scientific paper. Coordinating Facility near Munich (Germany), in the case of the Hubble Space Telescope, it is rarely necessary to visit the ground-station and operations center. Time on the Hubble Space Telescope and many other satellites is very competitive and is awarded in cycles on the basis of peer-reviewed scientific proposals. Once again, when time is awarded it is necessary to submit a detailed observing request that is programmed into a larger sequence by observatory staff. You will definitely not get to "play" with the telescope! Often, your data will simply arrive in the mail in electronic form, and usually in a form ready for you to begin scientific analysis. Some ground-based observatories now operate a mode in which your observing request is carried out for you by observatory staff, and the execution is scheduled in such a way that your measurements are mixed in with those of other applicants. Your presence at the observatory is not needed. This approach can optimize the use of weather conditions, but tends to weaken the spontaneous response to a discovery that comes from being in control of the experiment. High-speed data links also make "remote observing'' a real possibility, enabling the experiment to be controlled from a distant location. In fact, some telescopes are completely robotic (i.e., they are programmed to operate autonomously using weather stations and pre-programmed target lists). Of course, there are numerous privately owned observatories throughout the world, mostly associated with universities and research consortia. Some of these facilities are quite large, and others are fairly small. At many of these places there is a much greater degree of "do it yourself''. Nevertheless, the pattern of preparation and work is essentially the same. Professional astronomers usually work in the comfort of a warm control room, rather than the dark and cold telescope dome, while electronic imaging devices and computer systems gather data. Occasionally, forays are made into the chilly mountain air outside to check on the weather or, as in my own case, simply to look up at the star-studded canopy of the night sky, marvel at its awe-inspiring beauty, and remind oneself that this is what it is all about!